Our next Catriona Shearer puzzle. 12. Spike in the Hive Two of the regular hexagons are identical; the third has area 10. 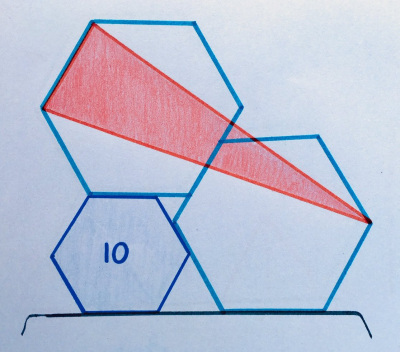 What’s the area of the red triangle? Spoiler!